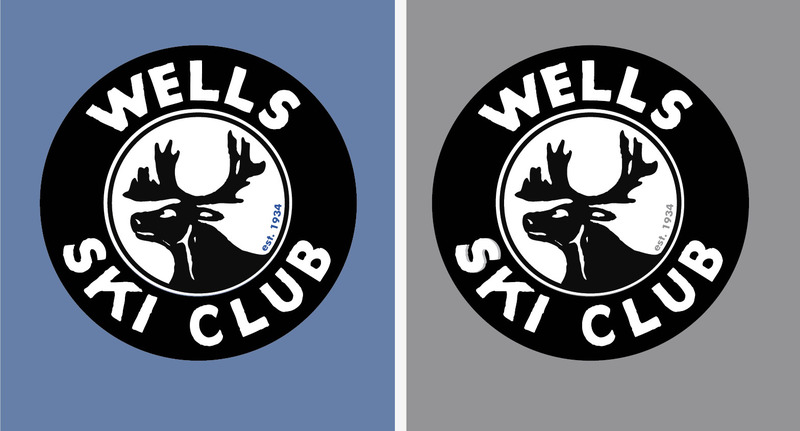 Wells has some remarkable ski history. The heyday of its hard rock gold mining years coinciding with rapid innovations in ski binding technology, plus enough miners of Scandinavian heritage and of course, plenty of snow, resulted in numerous ski runs and a jump on Cow Mountain. Ski jumping on Cow Mountain. Photo courtesy of Robin Grady. Skiing down Cow Mountain. Photo courtesy of Robin Grady. Slalom race on Cow Mountain. Photo courtesy of Robin Grady. Young skiers on Cow Mountain. Photo courtesy of Robin Grady. Felt badge courtesy of Robin Grady. Another felt badge with more detail on the caribou. Photo of club members with crest on the hood of the car. I’m printing these shirts one last time. Small to Extra Large sizes @ $28 including PST & GST; 2XL shirts @ $32 including PST & GST. Prices do not include shipping. To order, please fill out this form here. To inquire about shipping, please contact me using the Contact & Links page on this site. Thanks! This entry was posted in Uncategorized on January 21, 2019 by Bill Horne.